Can stricter work mandates reduce the poverty rate? A decade after the 2007–09 financial crisis and the weak recovery that followed, the U.S. poverty rate has reverted to prerecession levels, but extreme poverty is worsening. Economists attribute this situation to widening income disparity, wage stagnation, a scarcity of affordable housing and the growing prevalence of part-time or temporary employment. Natural disasters and other economic disruptions also worsen the plight of the poor. 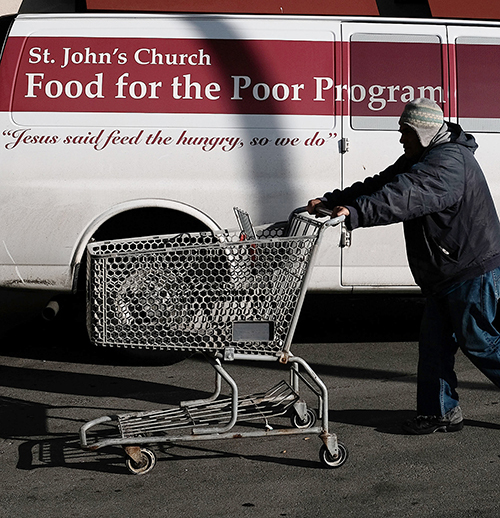 Liberals and conservatives remain divided on the severity of poverty and how to reduce it. While they agree that government safety net programs have helped lift many Americans out of poverty, conservatives want to increase work mandates with the goal of reducing the number of people receiving government assistance. The Trump administration and many Republicans say requiring the able-bodied poor to meet stricter work requirements in return for assistance is the best way to reduce poverty. But Democrats say most able-bodied poor people already are working and that added work mandates fail to address the root causes of poverty. They call for increased spending on aid and more and better job-training programs.